Likemind is a very simple concept. You meet up at a café, drink a cop of coffee and talk with the people who are there… The meeting starts in the early morning hours and by that it differs from the “classical” mingling sessions where you drink cocktails and hid behind your business card. 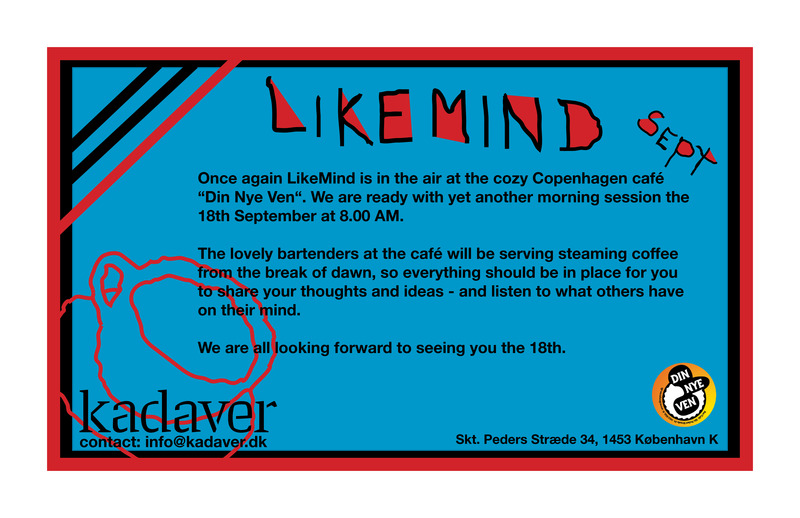 Likemind is about meeting young entrepreneurs and other creative and brave minds – where they are. Meet the person behind the business card and hear about interesting projects, life philosophy, travels or dreams. Have an early morning coffee and start out your friday with a smile. It happens once in a month and you are more than welcome! Looking forward to see you @ Café din nye ven.